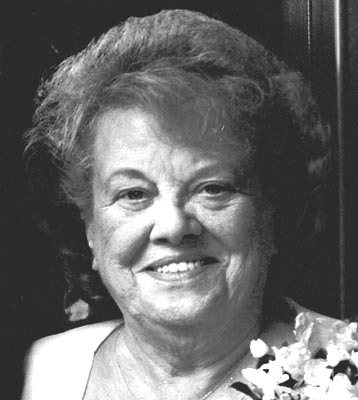 ANN M. COBERLY POLAND – Funeral services will be noon on Thursday, Oct. 27, 2011, at the Lane Funeral Home, Austintown Chapel for Ann M. Coberly, 85, who died early Monday morning at St. Elizabeth Health Center. Ann was born Oct. 27, 1925, in Campbell, a daughter of the late Myron and Margaret Kalischak Bilchik and was a lifelong area resident. She had been a dietary supervisor for Northside Medical Center for 13 years, where she was retired. Ann enjoyed gardening, shopping and doing crafts. Her family was very important to her and the time spent with them was very precious to her. She was a member of the Evergreen Seventh Day Adventist Church. She leaves her husband, Jack L. Coberly, whom she married April 22, 1983; one son, Ronald S. (Marilyn) Ciccolelli and one daughter, Judy (Kenneth) Oles, both of Austintown; two stepsons, Dennis R. (Deborah) Coberly of Redlands, Calif. and Jack D. (Andrea) Coberly of Oregon; one brother, Anthony (Margaret) Bilchik of North Olmstead; seven grandchildren, Allen (Lisa) Ciccolelli, Ronald Ciccolelli Jr., Kenny (Kristie) Oles, Deanna Oles, Justin Coberly, Josh Coberly and Jason Coberly; and four great-grandchildren, Allan Ciccolelli, Lauren Ciccolelli, Matthew Coberly, Katelyn Coberly. Besides her parents, Ann was preceded in death by a daughter, Debora Jean Ciccolelli; and a sister, Pauline LaBruno. Friends may call today at the Lane Funeral Home, Austintown Chapel from 3:30 p.m. until 6:30 p.m. Family and friends may visit www.lanefuneralhomes.com to view this obituary and send condolences.